In Canada, women represent a little over 50% of our population. How did we get so bad at addressing problems that affect half of us? And what do we need to do to improve the lives of girls who will be women in 2030? The fight for human rights can often look very different for men and women. From the 1.9 million women in Canada who are struggling to cover their most basic needs to women being 23% more likely to experience violence – with even higher likelihoods for Indigenous women and women living in the territories, it’s never been more imperative to improve the lives of women and girls by 2030. Meet Paulette Senior and Harriet McLachlan; two women focused on creating solutions to the problem of gender inequality in Canada. Our show notes for No Little Plans provide an in-depth look around the topics and people discussed in our episodes. Learn more about the status of SDG 5 in Canada in this week’s notes. Yesterday was the International Day for the Elimination of Violence against Women. 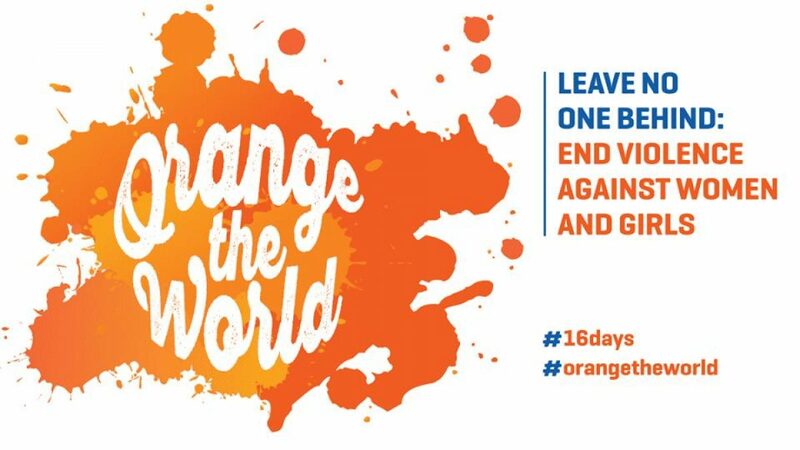 Learn more about this day and about the Orange the World campaign on the UN’s website. Canada recently hosted a Gender-Based Analysis+ Forum, a national dialogue on the importance of integrating GBA+ in the development of public policies, programs and initiatives. Learn more about the forum and GBA+ on the Status of Women Canada website. Women Deliver 2019, the world’s largest conference on gender equality and the health, rights and wellbeing of women and girls, is coming to Vancouver, Canada, June 3-6, 2019. Women Deliver 2019 Mobilization Canada is seizing upon the global spotlight and momentum that the Women Deliver Conference provides. They engage with citizens across Canada across sectors to improve our country’s leadership on gender equality and to generate increased investment in the health, rights and wellbeing of women and girls. Join the growing mobilization at WeDeliver2019.ca and contribute to lasting change on gender equality and help improve the health, rights and wellbeing of women and girls in Canada and around the world. You can also participate in the conversation on social media using #WeDeliver2019, and by following the movement on Twitter and Facebook.